This treatment is indeed revolutionary: The world's first and only varicose vein treatment which is registered to treat and heal varicose veins and is USDA certified organic! This treatment's effectiveness is supported through science, its purity and safety established from its organic certification. This product comes with our one year money back guarantee. This is a proprietary formula developed by Forces of Nature's Naturopathic Doctor and Biologist specializing in plant medicine. This remedy is very powerful and delivers a wide spectrum of action to treat and heal varicose veins. It is designed to provide both immediate and long term results. This is truly a breakthrough in the treatment of varicose veins as it is the only medicine available to treat varicose veins which has been issued the coveted USDA organic certification; it is truly one of a kind. All ingredients and medicines in the product have been verified to be free of pesticides and toxins and indeed certified organic as claimed. Product is to be applied topically to varicose veins and gently rubbed into the skin. A key benefit is that it is two treatments in one. Certified Organic homeopathic medicines noted in the US homeopathic pharmacopeia to remedy venous congestion are blended with Certified Organic botanicals which are extremely soothing and healing. The added botanicals further expand and support the action of the homeopathics. 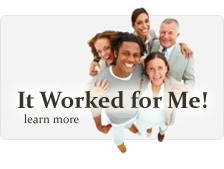 Results are backed by our one-year, money-back guarantee. 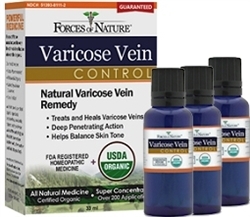 Homeopathic Hamamelis Virgiana, Aesculus Hippocastanum, and Carduus Marianus have been generously blended into Varicose Vein Control. These are particularly useful to treat venous congestion acute inflammation, and varicose veins. They stimulate the system to ease twisted or enlarged venous tissue thereby reversing the condition. The reduction in venous congestion will also relieve any pain or discomfort suffered from the condition. This product can be used to treat and eliminate recently diagnosed as well as chronic cases of varicose veins. Apply to affected area by gently rubbing into the skin up to 3 or 4 times daily until symptoms have cleared.. For children under 2 years of age, consult a doctor before use. I have been using the Varicose Vein Control for 4 days only and already see a difference in my spider and large varicose veins. So happy I am placing another order immediately!